Sweet limes are small in size, averaging 5-7 centimeters in diameter, and are round to oblate in shape. The rind is thin, easy-to-peel, smooth, covered in visible oil glands, and depending on the climate, may remain green when ripe or mature to a golden-yellow. Underneath the rind, the flesh is soft, yellow-green, divided into ten segments by thin, white membranes, and contains a few, inedible, cream-colored seeds. Sweet limes are aromatic, juicy, and have low acidity creating a palatable, mild, and sweet flavor with subtle honey notes. Sweet limes are available in the late fall through winter. Sweet limes, botanically classified as Citrus limettiodes, are small citrus fruits that belong to the Rutaceae family. 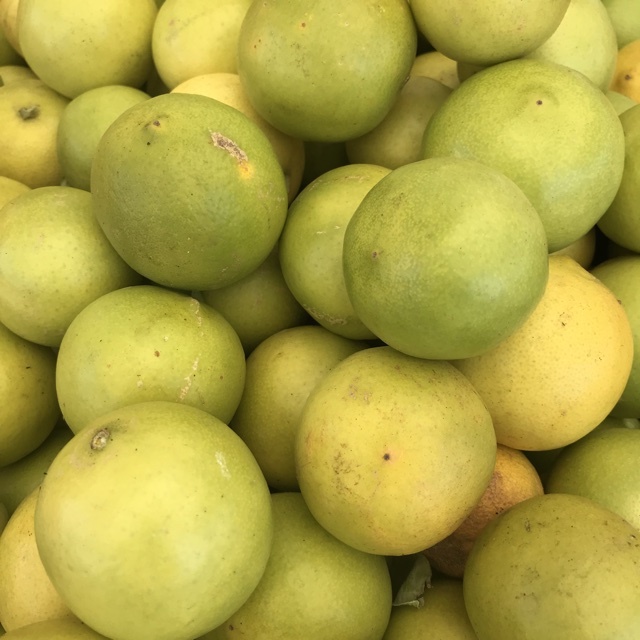 Also known as Lima dulce, Persian Sweet lime, Indian Sweet lime, and Palestinian Sweet lime, Sweet limes are thought to be a hybrid of a Mexican lime and a sweet lemon or citron. 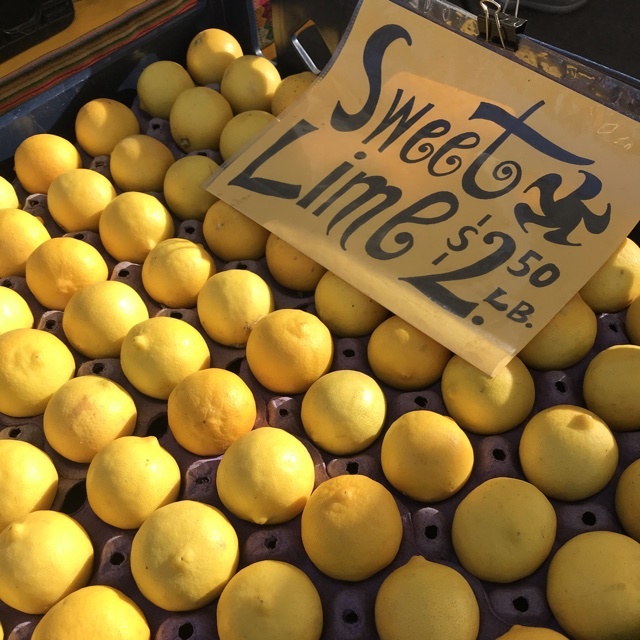 Sweet limes should not be confused with Citrus limetta, the sweet lemon, which is also sometimes called sweet lime and is also yellow in color. Popular in Middle Eastern, Latin American, and Indian cooking, Sweet limes are predominately used for their juice and are utilized as a sweet flavoring agent. Common varieties of Sweet lime include Indian, Columbian, and Soh Synteng. Sweet limes contain several antioxidants including vitamin C. They are also a good source of dietary fiber, iron, and their rind is an excellent source of vitamin B. 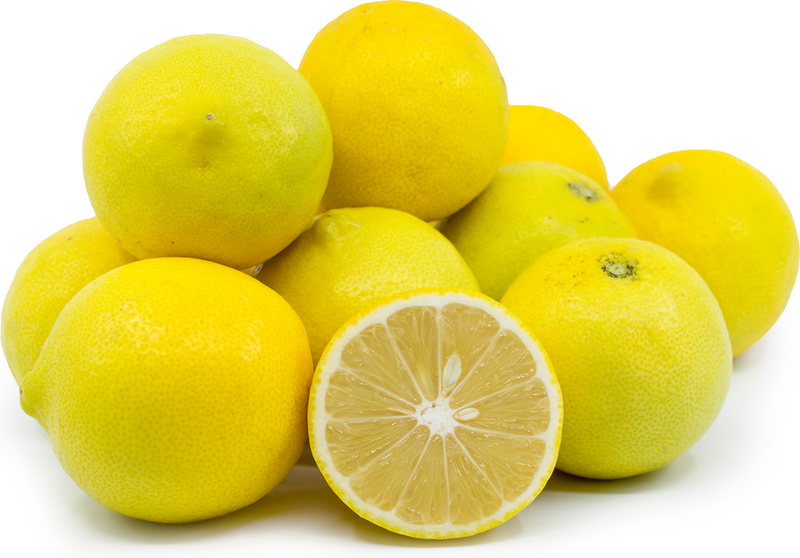 Sweet limes are best suited for both raw and cooked applications and are showcased when used fresh, out-of-hand. They can be sliced and served as a garnish alongside main dishes, desserts, and appetizers, or they can be consumed raw as a snack. The limes can be juiced for use in dressings, marinades, and sauces, or mixed into flavored water, cocktails, limeade, and fruit juices. They can also be sliced and tossed into fruit salads, pasta, chopped for salsa, and preserved for pickling, chutneys, and marmalades. 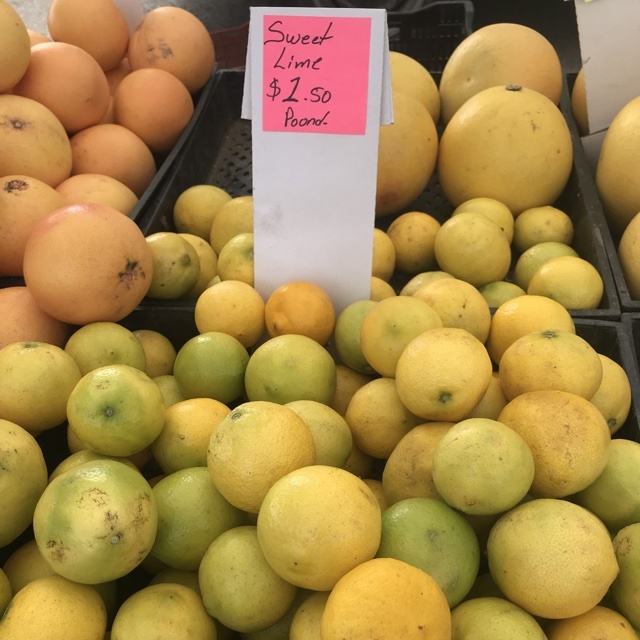 Sweet limes pair well with pomegranate, apples, banana, kiwi, pineapple, orange, beets, ginger, bell peppers, lettuce, cucumbers, bean sprouts, tortilla, pasta, rice, and meats such as poultry, beef, pork, and fish. The limes will keep up to two weeks when stored at room temperature and up to one month when stored in the refrigerator. Sweet limes are valued for not only their sweet flavor but for their rich amounts of vitamin C. In India, Sweet limes are used in traditional Ayurvedic medicine to reduce fevers and upset stomachs as they are believed to contain cooling properties. They are also used to reduce symptoms associated with throat infections. In the Middle East and Latin America, Sweet limes are used as a preventive treatment for the flu and colds. The fruits are consumed fresh, cored, and juiced for their sweet, beneficial liquid. Sweet limes are a natural hybrid believed to have originated in India, and they did not arrive in the United States until 1904.  Today, the limes can be found at local markets and specialty grocers, and are still grown in central and northern India, throughout the Mediterranean, in Egypt, Vietnam, and Florida and California of the United States. Recipes that include Sweet Limes (Lima Dulce). One is easiest, three is harder. 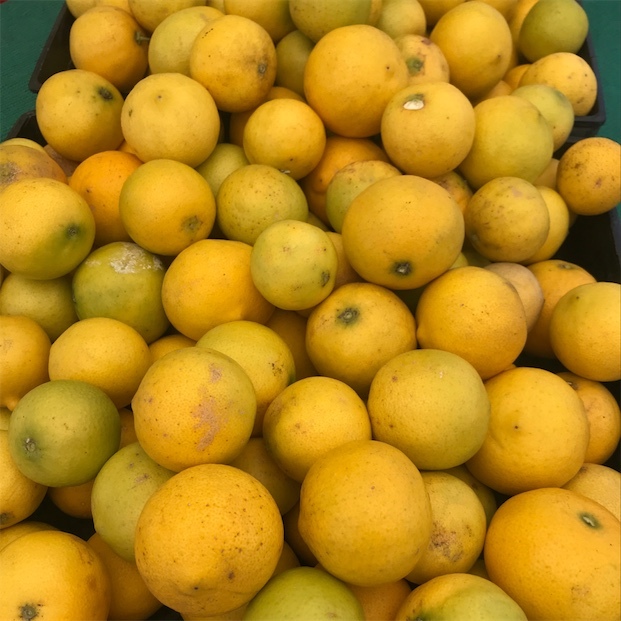 People have shared Sweet Limes (Lima Dulce) using the Specialty Produce app for iPhone and Android. 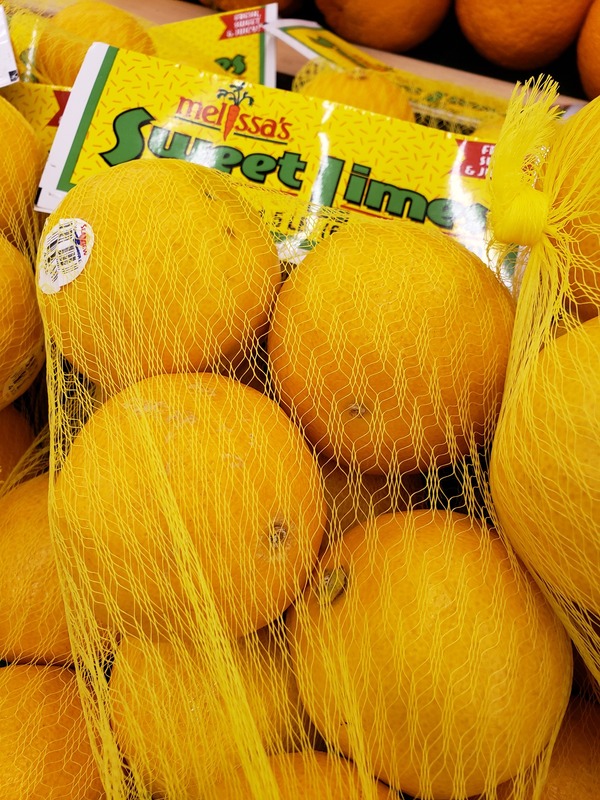 Sharer's comments : Sweet Limes (Lima Dulce) spotted at Sprouts Farmers Market. 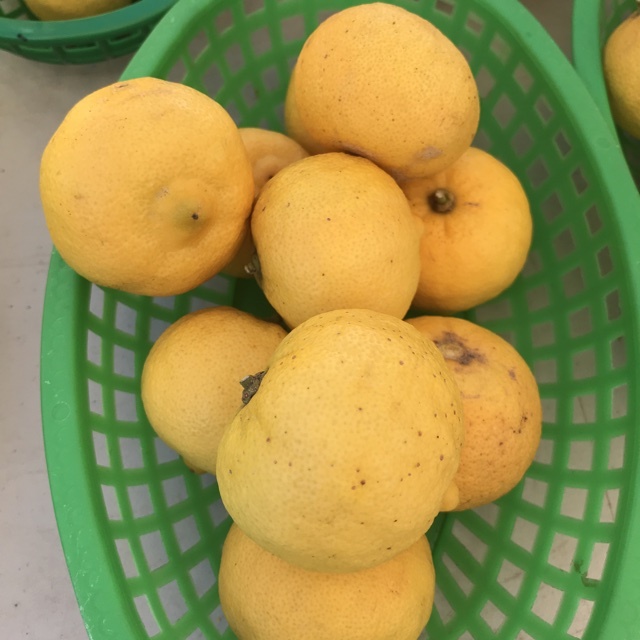 Sharer's comments : Sweet Limes (Lima Dulce) spotted at Rancho Penasquitos Farmers Market. 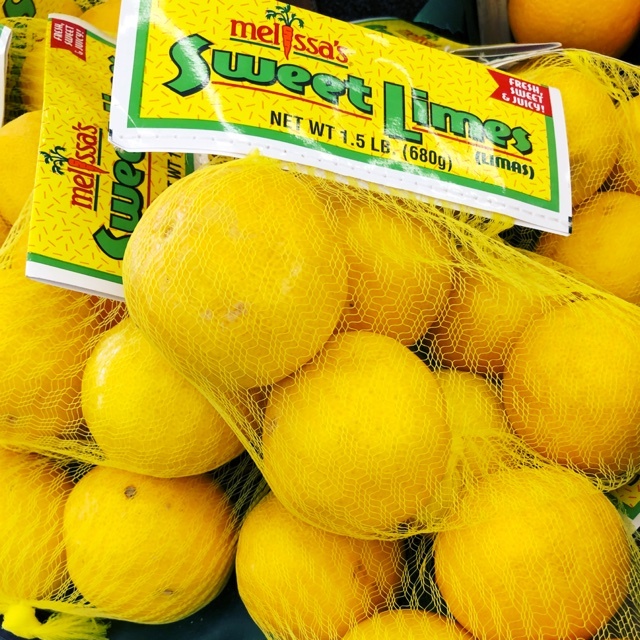 Sharer's comments : Sweet Limes (Lima Dulce) spotted at Del Mar Farmers Market. 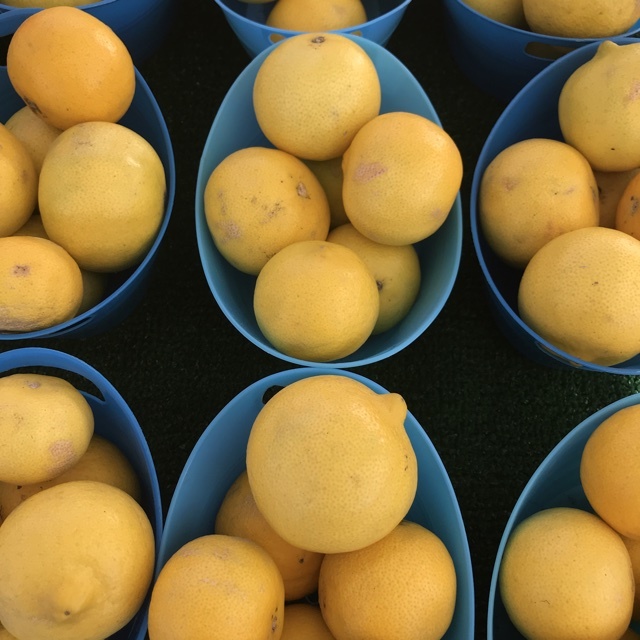 Sharer's comments : Sweet Limes (Lima Dulce) spotted at Scripps Ranch Farmer's Market. 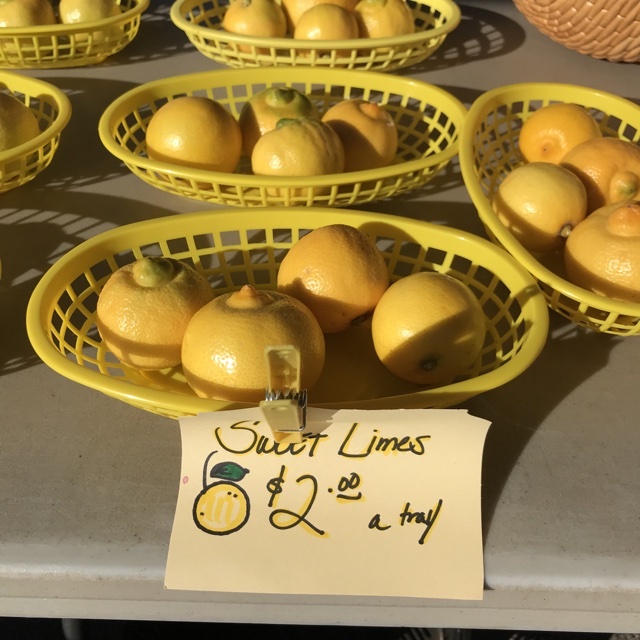 Sharer's comments : Sweet Limes (Lima Dulce) spotted at Vista Farmers Market. 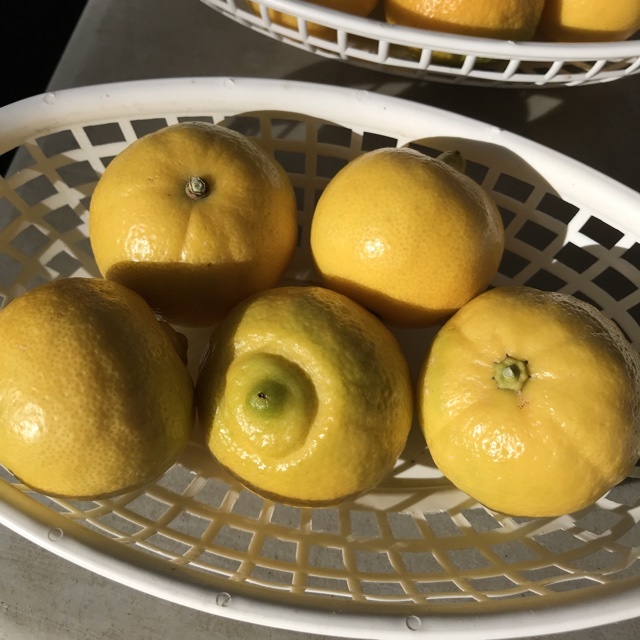 Sharer's comments : Sweet Limes (Lima Dulce) spotted at Vista Farmers Market. Nice quality. 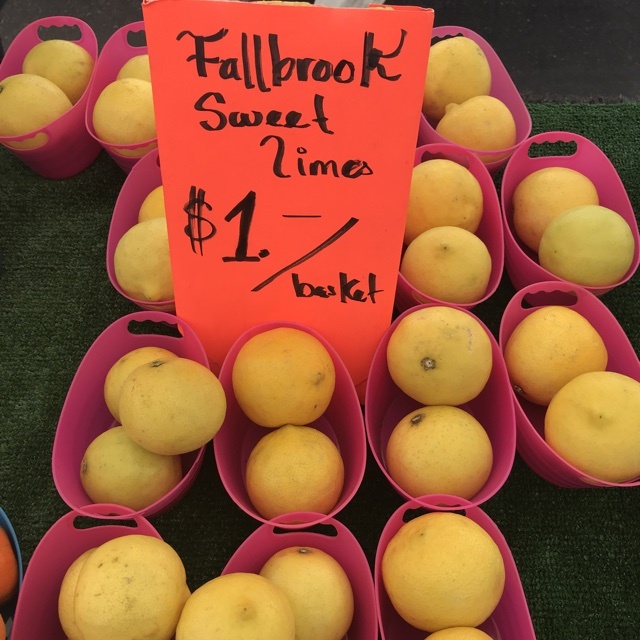 Sharer's comments : Sweet Limes (Lima Dulce) spotted at Hillcrest Farmers Market. 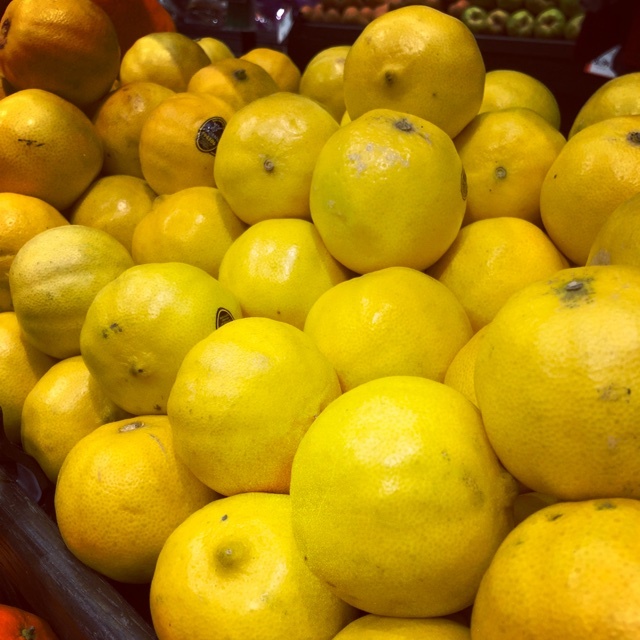 Sharer's comments : Sweet Limes (Lima Dulce) spotted at PCC Community Markets - Fremont. Yellow skinned and less acidic - a win!